Mystery Tales: The Twilight World Collector's Edition is rated 3.5 out of 5 by 66. Rated 5 out of 5 by cloudshadow from This is a great game! I always play relaxed and take several days to play. These games are what I do at the end of the day to, relax! I really enjoyed this game. The plot was good and the mini games are different than any other game I've played. Not too hard, but not too easy. If I can do most mini games without skipping, I'm happy. some games, I skip most because they're too hard. What's the point of playing if you have to skip them all?!? There is a map that lets you jump to where you go. This is always important. No map means tons of walking and hoping you got the right room, and if not, going back to other places hoping it's right. I think the bonus game was harder than the main game, but still fun. Rated 5 out of 5 by tutortime from Excellent Game ! This was a great game. The graphics were good and there were a variety of different mini games. Many, different scenes to interact in and it was a very long game. The cc edition was worth the money as all the scenes were different and it was quite long. Rated 5 out of 5 by kathyh62 from This game is my new favorite!! 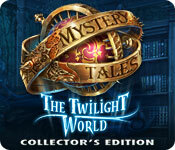 Mystery Tales: The Twilight World Collector's Edition is the BEST kind of fun! I rarely leave a review but I just had to make an exception for this game! The journey you take in this game is loaded with fun and truly makes you put on your thinking cap! The puzzles were sometimes too easy although not always easy to figure out what to do at first! I always try to figure it out before reading the info about the game. There are 3 collectables which is fun, but the items you collect in the course of the journey and in the HO scenes and figuring out what to do with them was what made the game exceptional! And then the added bonus was to play each scene in brilliant colors and then switching to dark/dreary! I absolutely loved it! And just when I was sad to see it end... it takes right off in the bonus game adding to the end of the story, even though it ended sufficiently without the bonus game also! I can't wait to play the first game in the series and the other games by this developer! Rated 5 out of 5 by denniann2 from watch out here i come!!! you will not keep my daughter!!! you are looking for your daughter who is under a spell from a dark witch that needs her soul to get all her power back. you search for items in the HO scenes and they are well done. you have 4 levels, one being a custom level. you have an interactive map. sequel..possibly. Rated 5 out of 5 by bmn5772 from WINNER WINNER BIG FISH DINNER!!!! I loved this game from the beginning and when I got a chance to purchase it for 1/2 price I got it! The strategy guide works after I purchased the game.........it totally rocks! 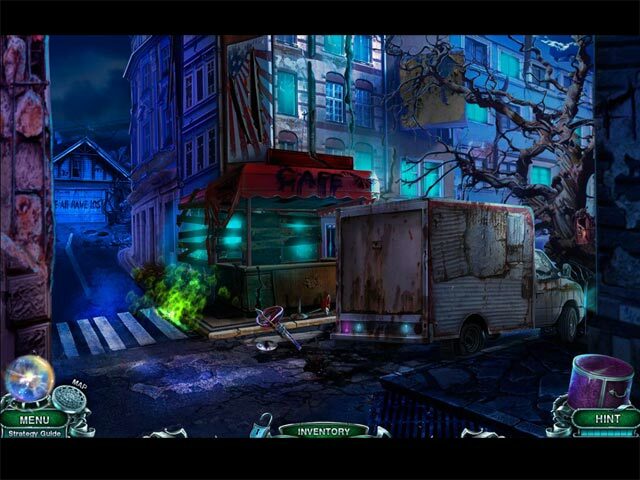 Rated 5 out of 5 by skullfun from Mystery Tales 2 The Twilight World 4.5 Rating... Even the most powerful witches can be defeated, even witches who lived centuries already, have their weak spots! And you have to find the weak spot of the most powerful one, Zora, in Mystery Tales: The Twilight World CE. Actually you have no choice: the witch has chosen your daughter Nancy as her victim! Zora is planning to use Nancy’s body as her own to gain immortality, so she reaped Nancy’s soul from her body and put it into dreary Twilight World. You have no time to loose: once Zora will finish the rite, Nancy’s soul will be banished forever and witch will gain her body! Along your journey you meet and find allies in the Twilight World, able to help you to defeat Zora in this dramatic adventure sequel! 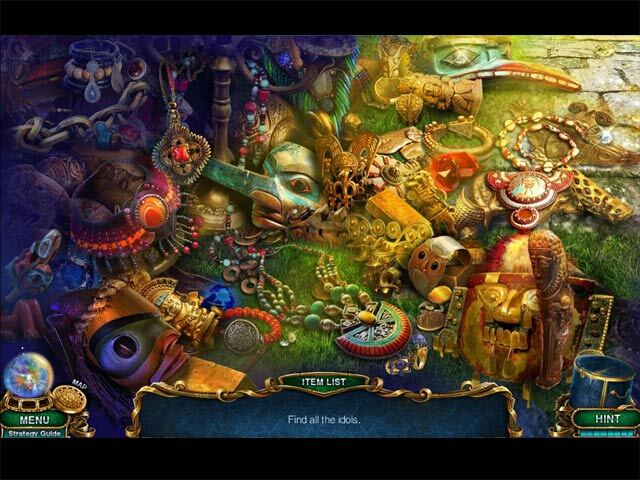 Excellent lip sync and graphics demonstrate what an incredible effort the developers worked to achieve in this exciting dramatic HOPA. The bonus game was really cool too. Rated 5 out of 5 by RobinLea from Different, creative, tons to do...LOVED it! I am wondering where all the reviewers are. You and your daughter take a road trip and end up at a motel. You just get checked in and blamo evil witch freezes your daughter in a force filed. You must run around and save people who have become possessed by evil objects. You must collect them all to help you along an to ultimately save your kiddo. I found the story good, the graphics excellent and so much to do I am surprised that I loved it so much. Mini games everywhere many simple. When there is too much to do in games I usually find it irritating as it seems to stop the flow but not in this one. Every single HO or game flowed well. The hidden objects were TOO much fun and so out of the box. There is one where you fund blocks and then find items and my favorite was an HO in a fireplace where the items flicked like flames so creative and fun. Honestly I could only find one flaw and it was an oversight. A boy named Kevin makes a poster for his missing Parrot Mr. Chipper and it shows a Scarlet Macaw. The rest of the game including capturing that fella he appears to be a Green Amazon. Players try for yourself and decide. I will add this to my very favorite games to replay. You collect cards, cats and bunnies as extras. I do wish they would add the collectibles to the map so you know if you miss any or that you could go back into the game to collect them as some developers have done. I managed to collect all of the bunnies and cards but somehow missed one cat. I will keep my eye on this developer for new games that come out. This game had a lot of love and creativity go into it and quality along with new ideas which is tough to do I am sure. Again you decide at least do the trial, I had a blast! Rated 5 out of 5 by ahunter0701 from Very Awesome Game!!!!! I loved this game very fun! puzzles were fun not too hard, hardly skipped any. 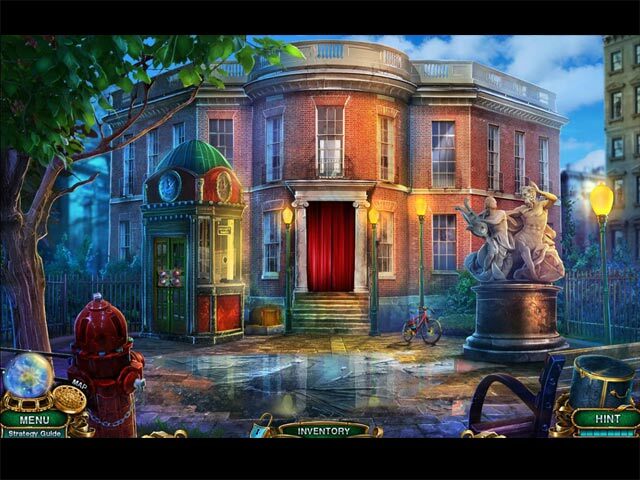 I absolutely loved the graphics and the hidden object scenes. Colors were bright. fun things to find and collect on your way and earn achievements. I recommend this game had fun playing and enjoyed myself.